Completely redesigned and decorated by renowned architect “Pierre-Yves Rochon”. François 1st is inevitably one of the jewels of the Parisian hotel, combining distinction, refinement and exceptional situation. 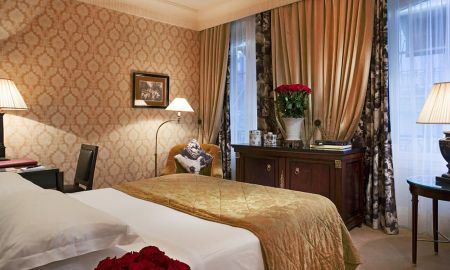 The hotel François 1st is the assurance of found privacy and the guarantee of refined hospitality. 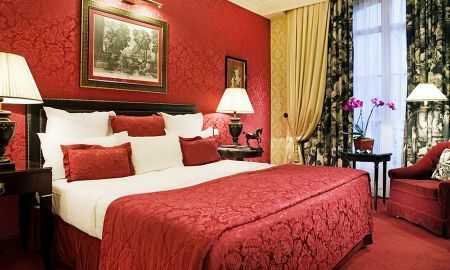 Luxury, calm and pleasure, as many requirements that make this hotel so royal. 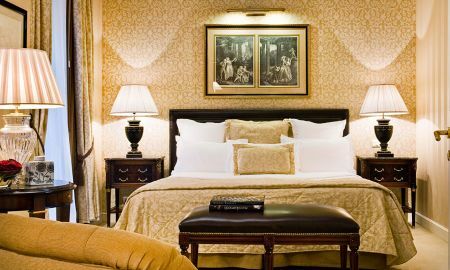 These real Winders, deluxe rooms are the mirror of L'art de vivre as French. Decoration and lights suggest space, calm and pleasure; refinement and comfort assure well-being and serenity. The decoration of the suites combines references to the past and materials today to enjoy relaxing ,resting and releasing. 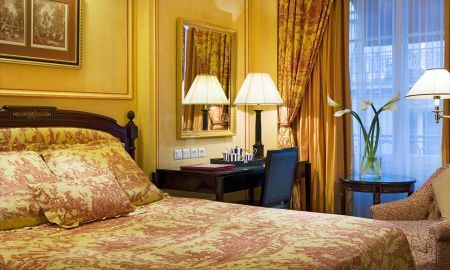 Only two steps from the Champs-Elysees, "haute couture boutique hotel" offers the absolute luxury in the heart of the Gold Triangle.